Ready to spark your baby's life-long healthy attitude toward food? Baby-led weaning is simply letting your baby feed themselves as you introduce solids into their diet. Baby learns about food at their own pace, choosing how much and even how to eat, giving them control of their eating experience. 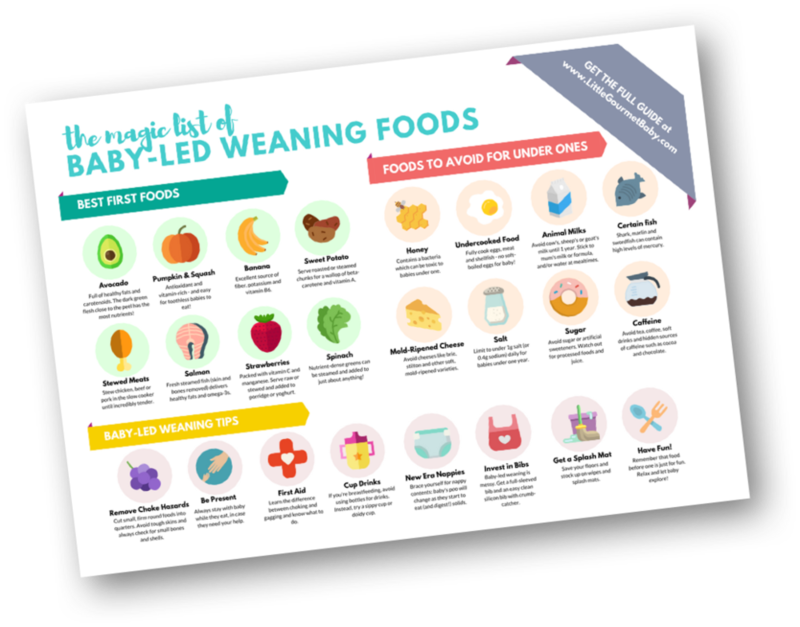 Baby-led weaning foods at a glance! You can print and stick on the fridge to remind you of the best first foods to try with your little one, along with the foods to avoid. After 6 months, babies require more - more energy, more vitamins and nutrients - than milk alone can provide. This handy (and downloadable!) guide gives you all the basics - how much food, how often, how to balance meals, and more. A quick reference guide to all the developmental signs of readiness for first foods.